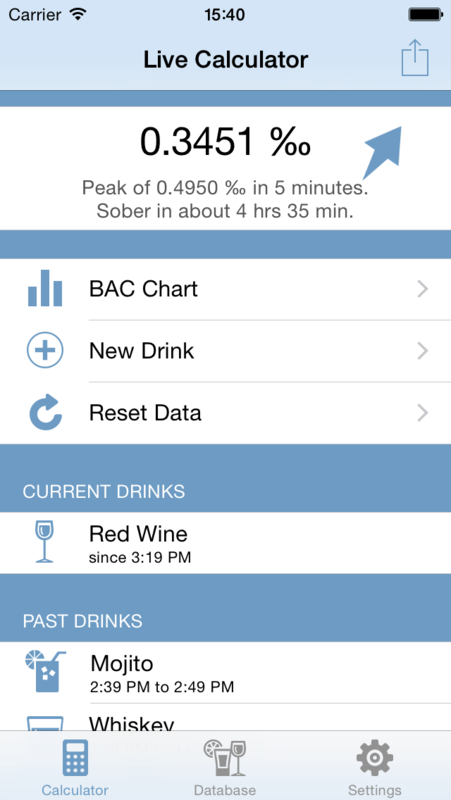 Live blood alcohol content calculator is so easy to use that you actually want to use it. When you start a drink open the app and choose it. When you finish a drink open the app again and choose the current drink again - that's it! 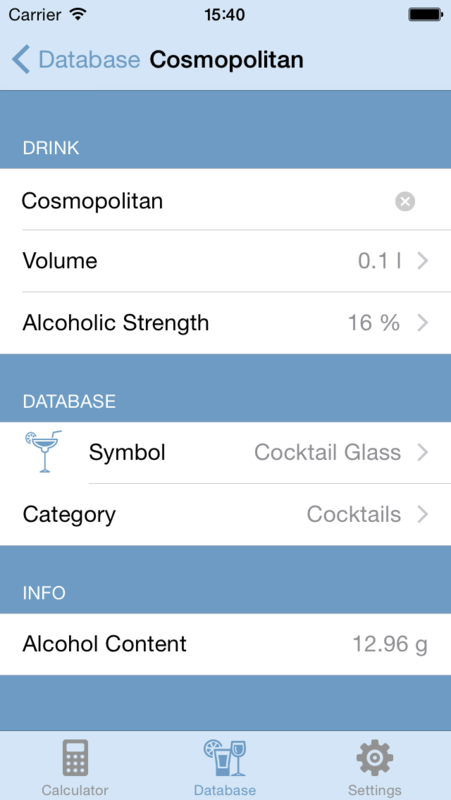 Calculates blood alcohol based on you gender, age, height, weight and time frame. 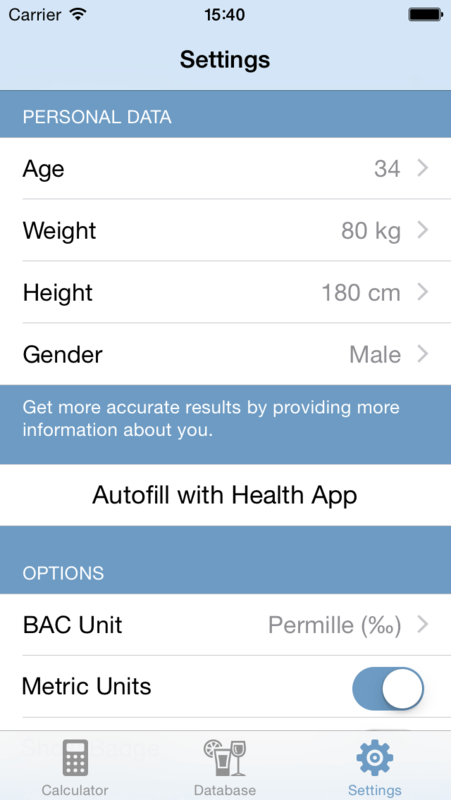 Easy setup: migrate your birthday, height, gender and weight from the Health-App if you like. As seen on 'The Today Show'. Currently the app is only available on iOS. 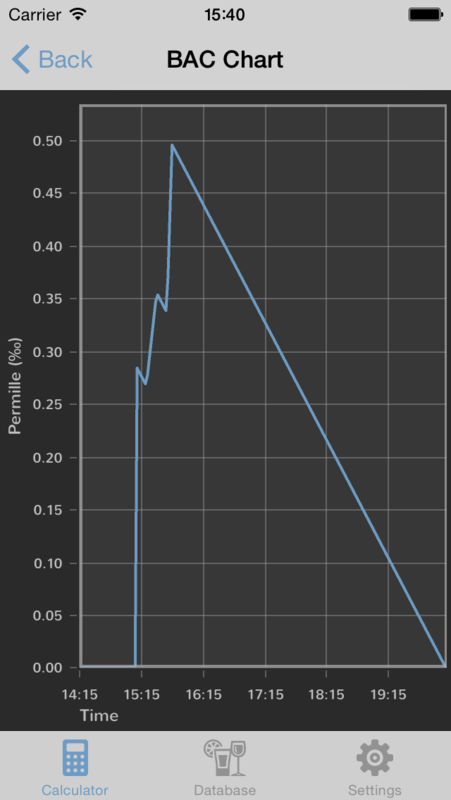 An Android app is planned, but we can't give an ETA at this time. Can I try the app before I buy? 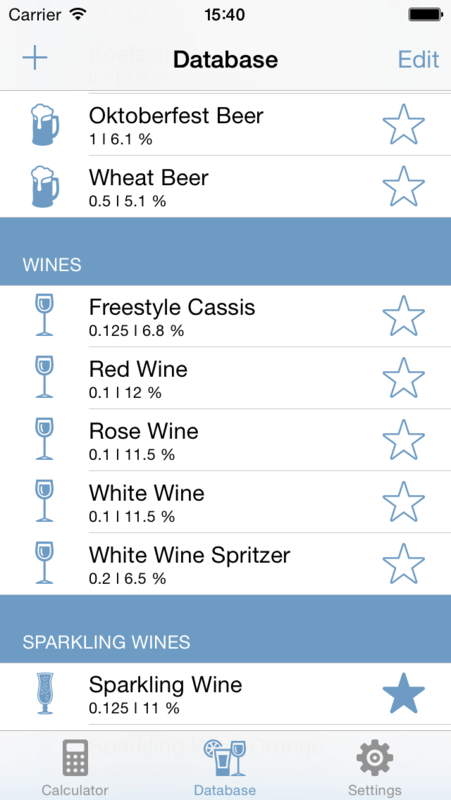 Download the lite version of the App from the App Store.